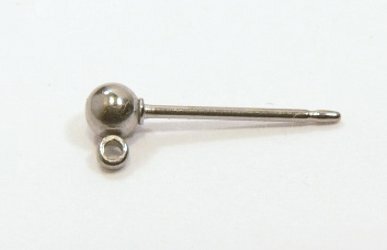 BpLoop: Pairs Titanium Ball Post w/Loop Good for hanging your earrings higher than with a French wire. The ball is 3mm (like my small Ball Posts) and the post is 3/8" long. Titanium flower clutches are included.